We translated more than 3,000 certificates of different kind in our project history. Certificates, Diplomas, Licenses, CVs No comment. The spiral casing shall be delivered complete with stay ring, manhole with cover, connections for cooling water supply and for dewatering terminals for pressure and discharge gauges according to Winter-Kennedy method, legs and anchors for fixing the spiral casing to the foundation. Спиральная камера поставляеться в комплекте со статором, люком с крышкой, соединениями для подачи охлаждающей воды и отпайками для отбора значений давления и расхода по методу Винтер-Кеннеди, опорными лапами и анкерами для закрепления спиральной камеры в фундаменте. На входе в спиральную камеру номинальный внутренний диаметр должен составлять 3000 мм для основной турбины и 1150 мм для вспомогательной турбины. Спиральная камера и статор должны быть рассчитаны на максимальное рабочее давление плюс гидроудар по крайней мере 13,5 бар без поддержки от окружающего бетона. Статор должен быть рассчитан на все нагрузки, переходящие на него от бетона, и гидравлические усилия во время работы турбины, а также нагрузки, вызываемые генератором и вращающимися узлами турбины при опорожнённой спиральной камере. Experience Years of translation experience: 20. Registered at ProZ.com: Mar 2002. 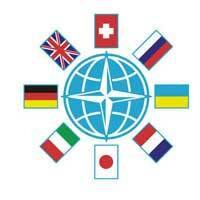 We are an officially registered translation agency situated in Kharkiv, Ukraine. I am a Director of the company and a linguist myself with more than six years of translating experience. We provide high quality translations in the following areas: Industry, Commerce, Economics, Science, Finance, Technical Documentation, Patents, Official Documents, Marketing, Public Relations, Business Correspondence etc. Our translators are native speakers (due to location Russian and Ukrainian are our pet target languages). We have a team of professional native–speaking proofreaders and editors. We deal with twenty worldwide used languages. Translators are selected based on the strict criteria for each submitted source text. Our focus on the match between the translator's background and the submitted text guarantees that the content and the meaning of the text are accurately reflected in the translation.